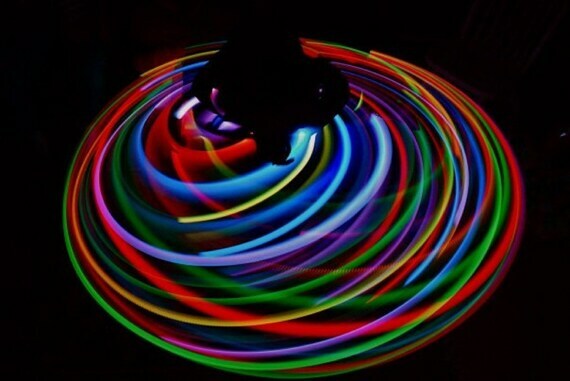 - 21 slow and fast changing LEDs – 3/4 inch rigid tubing for extra durability – all interior parts are soldered for longevity – a rechargeable battery (environmentally friendly) – compact wall charger – authentic Prodmod parts – totally silent; zero rattle – taped for your tricks – hoop care instructions included – 6 month warranty on mechanical parts (excluding battery) Charging your hoop is a snap. The hoop charges up in an hour and the battery will last for about 6000 total hours. 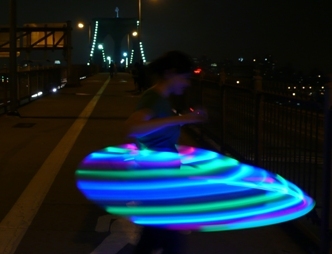 You have a window of 4-6 hours of continuous hooping with each full charge, giving you ample time to hoop it up. These adult hoops are sized to 40 inches (approx. 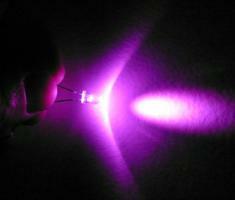 ), but I am happy to custom make to your requested size and/or LED specs. I build these as they are ordered; please allow 2 weeks for your hoop to be ready to be shipped. 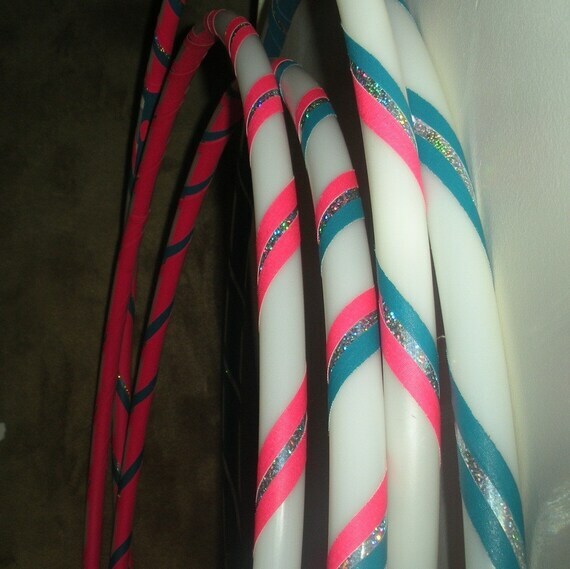 - TAPE: Let me know what color you would like your hoop taped or whether you would prefer no tape. I use gaffer tape and always have a large selection of colors on hand. you can choose the color of gaffer tape using the drop down menu below. -SHIPPING: Available within the continental USA via UPS Ground and shipping insurance is included. Each hoop is thoroughly tested before it is ready for you and comes with a 6 month warranty (from the delivery date) for any mechanical issues. Please contact me for an shipping quote to any other destination. - HAVE QUESTIONS? Simply send a message using the contact form below. 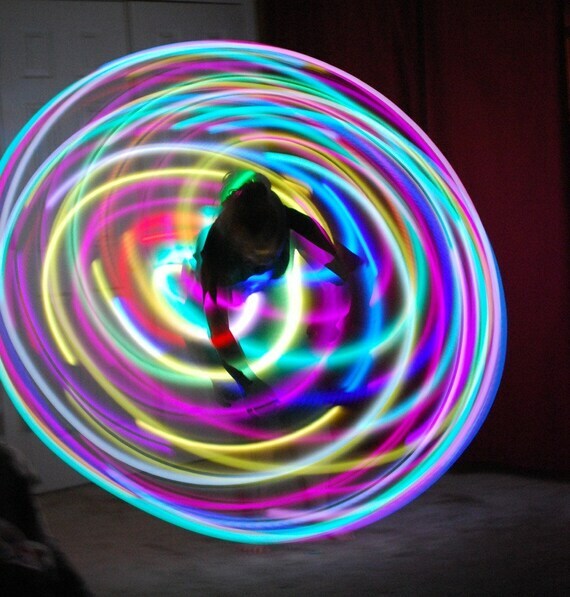 Hooping is such a great workout- building strength, flexibility and cardiovascular health. It’s FUN and GOOD FOR YOU!. . Purchase your assembled LED now by choosing tape colors and clicking the buy now button below:. What is a ProdMod Certified Maker? A ProdMod Certified Maker is someone who has promised to make LED Hoops using the quality parts that I have inspected and supplied to them as well as the same assembly techniques I describe on my website. The Makers listed on this page have had samples of their work inspected and certified by me. If they are not listed here, then they are not certified by me. To learn more about the ProdMod Certified Maker program or how to become a PCM click here. Hoop orders are handled directly with the Maker. If the Maker has a “Buy Now” button you will be adding it to a cart in their separate PayPal account. You cannot combine orders of items purchased on ProdMod, such as accessories, with items purchased from a Maker. So please complete each order separately.